Arrival at Ayers Rock Resort, the center of the desert. On 18th October 2002, under nearly 40 deg. 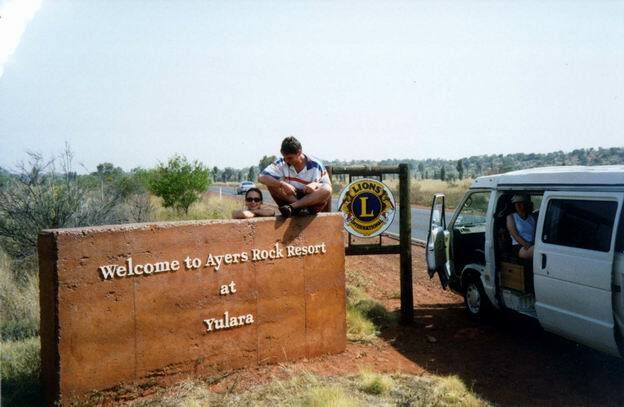 Hot sun, we finally arrived at Ayers Rock Resort, or Uluru, if you want. The center of Australian desert. Our target was - obviously - famous monolith rock. A couple returning that morning from Uluru gave us still valid entry tickets, so we didn't have to pay common 15 bucks per person & 3 days.